On this page we present two texts, both written by 19th century Russian authors. Alexander Gilferding was a traveller who left to us precious records of the life of Christians under the Ottoman (Turkish) rule in the middle of the 19th century. Yastrebov was the chief of the Russian consulate in Prizren and a person who did all he could to help the suffering Christian population in a dominant Albanian-Turkish Moslem community. I suppose that readers are already weary of descriptions of ruins, churches and monasteries. But, for the traveler there is nowhere else to go. If they are ready to follow me on my way through Old Serbia, as they followed me through Herzegovina and Bosnia, let them patiently listen to the descriptions of old monuments and ruins. Today, there is nothing but ruins in Old Serbia. Here, the Slav life has almost gone. It has been pushed out by an Albanian torrent, and in this area, flooded by Moslem barbarism, only the church monuments - endowments of the Nemanjics - stand as witnesses of the Christian and Slav life, which, at one time, flourished here. Among Bosnia, Old Serbia and Herzegovina - the three provinces about which I must give information to our readers, there are queer differences. In Bosnia, the Slav and Orthodox element is still powerful and alive, but without a past and a tradition. The whole ancient history of Bosnia, expressed its hostility towards Orthodoxy. Bogomilism and Roman Catholicism carried the stamp of that hostility. 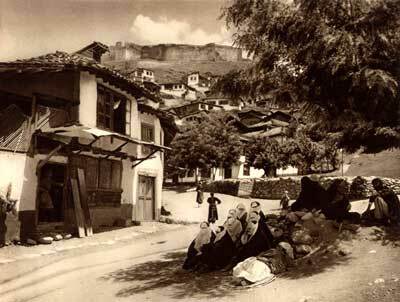 That is why that history did not leave any mark in the recollections and life of the Bosnian Orthodox inhabitants. All the antiquity, monuments and tradition are concentrated in Old Serbia. But, as I told you, there is nothing that is contemporary and alive, only brutal Moslem Albanians. In that sense, Herzegovina is in a better position than Bosnia and Old Serbia. There, the Orthodox inhabitants are very firm in nourishing the tradition, and very stable in their contemporary life. Pec /Albanian and Turkish: Ipek, is quite a big city. It has been estimated that around 4.000 Moslem and 800 Christian families live there. From the latter, a few households belong to the Roman-Catholic church. The Moslems and Catholics are Albanians, and the Orthodox are Serbs. The majority of the Serbs can speak the Albanian language. The Moslems move about armed constantly, while the Christians are forbidden to wear arms in the city. They are usually exposed to various insults and oppressions. The Pec monks go in the bazaar unwillingly during the day time, especially on a bazaar day, and when there are a lot of people. If on those days monks have to go through the city, they avoid crowded streets, and sometimes they take a road round a settlement. Christian women wear white kerchiefs, the same as the Turkish women do. If they didn't do so, they would be exposed to humiliation and insults in the streets. It was really unusual to see a group of ostensibly Turkish women, with kerchiefs on their heads, enter a church and cross themselves. But, the Albanian women in villages do not cover their heads, and they walk bareheaded, like the Moslem women. The church has a quadrilateral shape with small cross-shaped bulges, and consists of four buildings: a large narthex or - as the Serbs call it - priprata, to the Central church - the Holy Ascension, a separate South chapel The Ascension of the Mother of God and the separate Northern chapel of St. Demetrius. Above the altar of the big church and above both separate chapels, there is a wide dome, covered by lead. All these three domes, built one next to the other without the necessary distance between them, give, when looked at from the outside, an impression of something heavy and clumsy. However, looked at from the inside, they produce and extraordinary effect, the slits of their eight big windows, lighting the building, which take up almost all the space at the sides of the pedestals. There is a cross on each of the domes. The big Central church was renovated in 1634. Its length from the Western door to the iconostasis is 72 paces, the altar length is 20 paces, and the building width is 41 paces. Its appearance is massive and dark. The big iconostasis is completely decorated by icons. On the right side of the imperial doorway, lies a coffin with the heads of the holy five martyrs (from early Christian times): Eustathius, Auxentius, Mardarius, Eugenius and Orest. According to the legend, Arsenije, a pupil of St. Sava, brought their heads from the Bulgarian capital Trnova into Serbia. On the left side, there is a coffin with the relics of St. Nikodimus, a Serbian archbishop, who lived at the beginning of XIV century. On the right side, close to a column, the throne of the former Serbian patriarchs, made out of gray marble, is placed. Further, to the right side, you can se a sarcophagus of white marble, where St. Arsenius, the founder of Pec monastery, had been buried. A little further, lies St. Sava II, Serbian archbishop and son of the King Stefan the Firstcrowned /St. Simon/. The body of Archbishop St. Eustathius, also lies in the coffin. Finally, by the doorway, on the right side, St. Ioanikius II, a Serbian patriarch, rests. There is an inscription on the altar wall, which, it seems to me, was written when St. Arsenius built the first building. The importance of the patriarchal monastery is quite great, although there is no patriarch, and that is why it is classified as an ordinary monastery. A Prizren archbishop, who is a Greek sent from Constantinople, runs this old monastery of Slav-Serbian patriarchs. He nominates, on his own decision, a prior, who may be anyone from the monks in the monastery. The Pec patriarch heir lives far away in Austria, having the title of "eines wirklichen Geheimraths seiner k.k. apostolischen Majestat", and is under a constant surveillance of the government. At the same time, the name of the Greek bishop, is included in the prayers of the patriarchal monastery. The Serbian people have experienced much more sorrow than happiness. Their history is full of suffering. But after the Kosovo battle, there was no bigger catastrophe than the movement of 37.000 Serbian families into Austria, led by Arsenije Crnojevic, in 1690. It is true that we cannot blame Arsenije for it. His congregation had been suffering slavery which could not be endured further. The Serbs were promised a new country accross the Danube, which ought to have been the centre of renaissance for all the Serbian territories. In that new country, freedom and religion protection were promised, as well as autonomy in internal government under the rule of a duke, who would be elected by the people, and finally, exemption from all taxes, under the condition that men joined the army. All these promises were given and confirmed by word of honour and by a solemn Charter of the Viennese ruler! But, something that Arsenije could not predict, happened. The new country, which the Serbs got on the Northern bank of the Danube, the fertile plains of Banat, Backa and Southern Hungary, became, very soon, bait for Vlach, Hungarian and German colonists. The Serbian element started to withdraw in the face of a foreign assault. 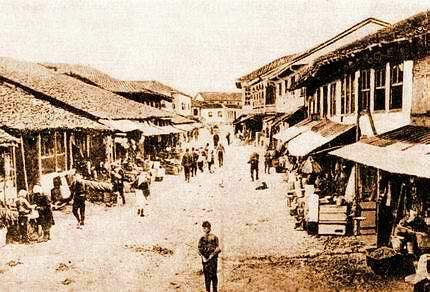 In many settlements the Serbian inhabitants completely disappeared. However, in other areas, the Serbs could barely resist the majority of foreign element, and so, little by little, they would have to die out. Instead of freedom and religious protection, religion was wiped out from the beginning, by violence /it is quite well known that a hundred thousand Serbs left Austria in 1751 and moved to Russia/. The whole of Old Serbia became deserted, as the settlements round the Pec patriarchy moved. 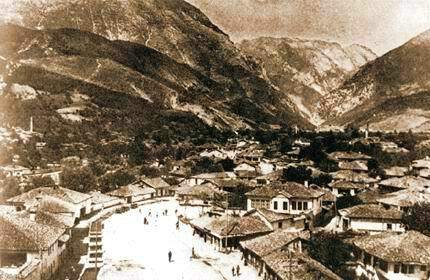 And, then, the Albanians, who came from the poor and cold hills of Dukadjin and Malesa, occupied the surroundings of Prizren, Djakovica, Pec, Kosovo Polje, Novo Brdo, Novi Pazar, Sjenica and all this wonderful region - the heart of Old Serbia, along with the fertile and warm plains left by the Slavs. It could be said, that from those days precisely, the Turkish management and Islam consolidated their position in the Serb territories. What did the numerous renegades in Bosnia represent, when they were surrounded by a huge homogenous mass of Christians, which divided them from the other parts of the Empire, inhabited by a Moslem element? But, after the movement of the Orthodox inhabitants from Old Serbia into Austria, this division disappeared. The Albanians, who at the time they came down from the mountains were of the Roman-Catholic religion, could not, in the plains, resist the Turkish influence. Additionally, it must be mentioned that the Albanians are very indifferent towards religion, and that they car not be easily threatened by God. A German writer, a very good Albanian expert, said that the people who were under the Turkish rule, the "Slavs, Greeks and Wallachians prefer religion to freedom. But, and Albanian, prefers his freedom to anything, even to religion." 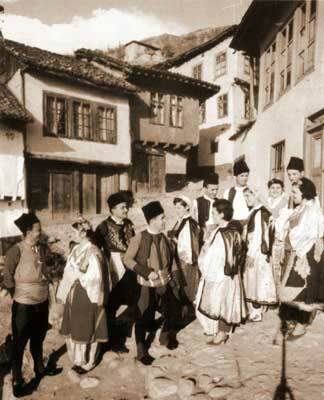 During XVIII century all the Albanian inhabitants who had moved into Old Serbia, easily accepted Islam. I've already described the difficult position of Christians in Pec. Daily, they suffer various insults and oppression by unrestrained and hot-tempered Albanians. I give credit to the new Pec governor Hurshi-aga /a fat, merry fellow, who joined the army long ago, and is very similar to some of our army majors, an experienced old soldier and bon vivante, who is doing his best to restrain and punish Albanian willfulness, and who deserves to be praised by Christians. But, what can be done by just one man, even with the best intentions, in the middle of and armed mass which knows nothing about the law and the courts, and which is accustomed to unlimited self-determination and tyranny, in one word, which is - according to the local proverb - afraid "a little of God, not at all of the Czar"? The situation would be quite different if the Pec leader could have at least one detachment of soldiers. But, in the whole of Old Serbia, the Turks do not have a single soldier, and all the executive power of the Pec governor consists of two or three dozen of guards, recruited from among those same Albanians who need to be constantly restrained.